A mandate is to increase attendance and graduation rates - measures where Oregon is objectively failing. After traveling thousands of miles and visiting dozens of schools, one thing was clear to all members of the Joint Interim Committee on Student Success. Today's schools, and their problems, do not resemble the ones that legislators learned in. Some students today show up at school hungry. Some come without a winter coat or clean clothes. Some don't have a home. That was the impression left on 14 legislators who visited 49 sites, which included high schools, middle schools, elementary schools and early learning facilities across the state. Their mandate is to increase attendance and graduation rates — measures where Oregon is objectively failing. On Thursday, the Joint Committee on Student Success discussed the impressions from the statewide tour, and the policy proposals three work groups landed on. 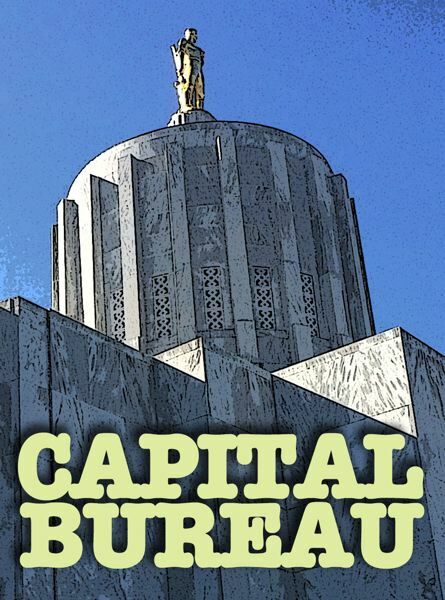 The legislative committee will craft a final report to give to the Legislature, which will include policy proposals as well as cost estimates. As each legislator discussed the school visits, a theme emerged: Our educators have become de facto mental health workers, classroom sizes are too large and students are facing a variety of issues at home at a frequency unheard of 40 years ago. "Far and away, we heard more about mental health than I ever thought we could," said state Sen. Tim Knopp, R-Bend, who said this is an area where government shouldn't run like a business. "They are their own supervisor," state Rep. Carl Wilson, R-Grants Pass, said of some of the students he talked to. "It's pretty difficult to make rational decisions at that age." Wilson said his conservative inclination would be to stop the government from coming into a home and telling people how to raise a family. But seeing circumstances first hand — talking to the students directly — made him realize the state needs to provide "wraparound" services to kids so that when they show up to school, they can learn. If the education system doesn't step in, who would, he asked. "It's a different world," Wilson said. State Sen. Lew Frederick, D-Portland, said the tour had a profound impact on him, and he even continued on by himself, visiting schools on the northern Oregon Coast. "This has been one of my favorite things to do, frankly, ever," he said. Frederick was troubled by some of the things he heard, such as a Coos Bay teacher telling him about an 8-year-old student who had written out plans for how, where and why to commit suicide. He said he heard frequently about an overreliance on standardized testing and a lack of funding. As Washington state has moved to pay teachers better, he said schools fear their best educators will be poached. "We have gotten to the point where we can't do more with less," Frederick said. While the failures of Oregon's education system seemed to leave lasting impressions on the legislators, it wasn't all bad. In the Arlington School District, one of the state's smallest, students were graduating with associate's degrees. And legislators repeatedly raved about the success they saw with the career technical education programs, which provides academic and technical training. State Rep. Greg Smith, a Republican from rural Heppner, said as the state crafts education policy for the future, it needs to be aware that "genius can be measured in many different ways." Just because a student struggles in math doesn't mean they are a bad student, he said. The work groups presented proposals, which included additional funding, fully funding Measure 98 (which funds career and technical education, access to college classes for high school students and dropout-prevention strategies. It is currently 60 percent funded), bolstering vocational and technical training, improving access to mental health professionals and adding resources to intervene when a student is floundering. The committee must fashion those ideas into a politically palatable package. "We need to go ahead in the '19 session to have a very big, comprehensive bill" rather than kick the can down the road, state Sen Kathleen Taylor, D-Milwaukie, said. The package also needs to be more forward-thinking than previous education reforms, said Sen. Alan DeBoer. 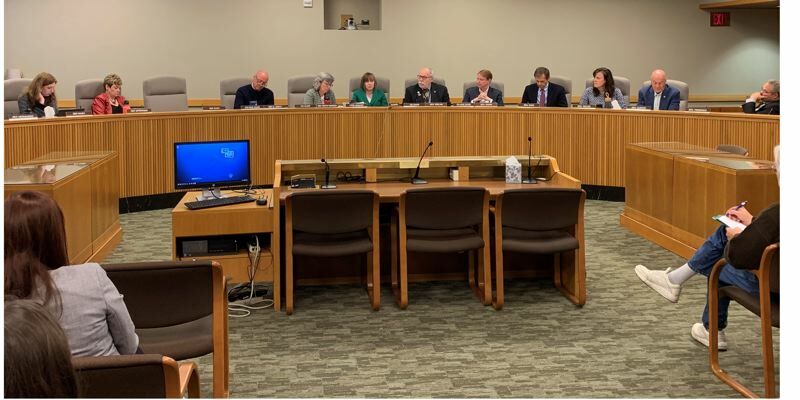 DeBoer said he had recently read through a document complied by the Legislative Policy and Research Office that gives a summary of Oregon's education policy from 1985 to 2017. He was struck by how quickly the state had changed its mind on education policy, or failed to fund what it passed. He implored the rest of the committee, and all in attendance, to read up on the past to avoid repeating that pattern.